Join us for a Paranormal Event inside one of Dodge City’s treasured historical sites, The Depot Theater! 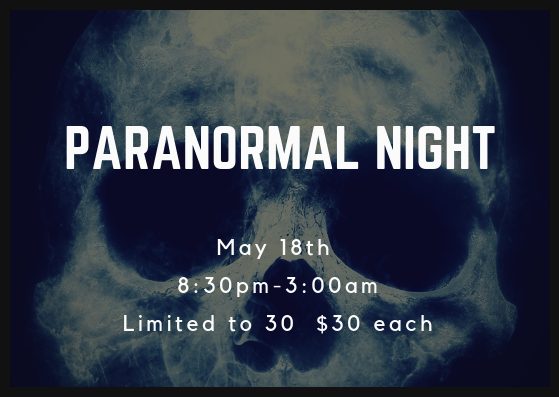 Spend the evening with Road Trip Paranormal learning the history of the Depot and allow the team to help you investigate the spirits of the past! Is there a cowboy still lurking around, a young woman who is heard along the stairs, or former railroad workers? Only way to find out is to join us for this fun evening to benefit The Depot Theater! 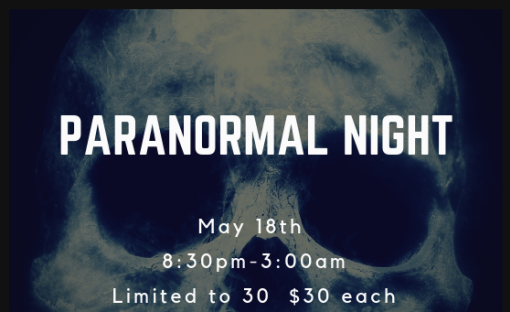 Road Trip Paranormal encourages you to bring cameras, flashlight and any paranormal gear you might have. Video will be running all night in hopes of capturing the spirits that will be with us!! 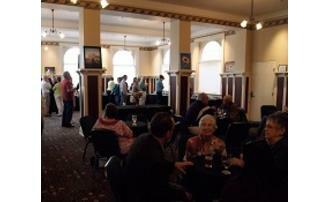 Meet at the Depot Theater Lobby at 8:30 pm for meet and greet and a historical talk on the Santa Fe Depot!!!! The Ghost Hunt begins at 9:00 pm and will end around 3:00 am. Snacks and coffee will be offered during the evening. SPACE IS LIMITED! Tickets are $30.00 per person. Tickets will go on sale April 2nd.